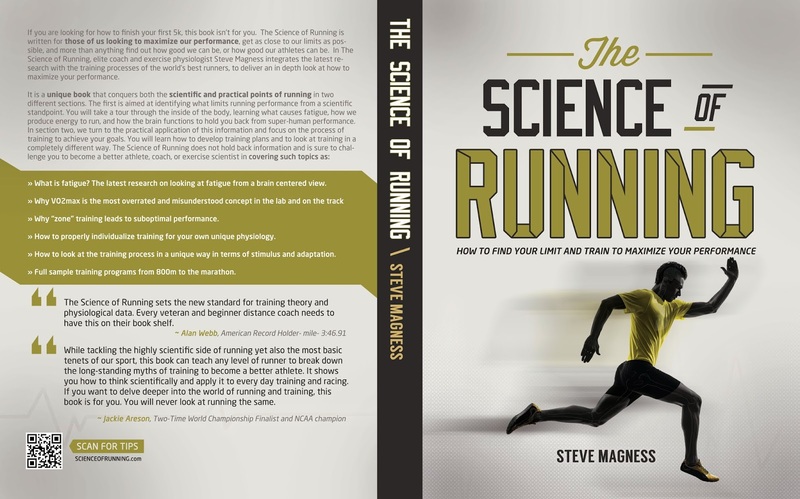 Right before the holidays, I started reading a fascinating book on the science behind running, written by Steve Magness (it's quite aptly named, The Science of Running). The holidays interfered and it's slow going for me since it's quite scientific, so I'm only about a quarter of the way through, but I've already learned quite a bit. So far, what has stood out to me is the idea that our body's main goal is to keep us at homeostasis. When we feel like running is hard and we can't keep hitting a certain pace, it's less that we physically cannot sustain that pace at that moment, and more that sustained activity at that level of exertion or higher would eventually harm us, so our brain is trying to get us back to that place of equilibrium (basically, not running that fast). 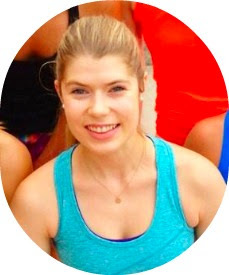 It might sound like an automatic reaction of our body that we can't control, but we've all felt like we couldn't possibly go any faster than sprinted in that last quarter mile of a race, right? It turns out that what we know about the run makes a big difference. If we know we have ten more miles, our fatigue level will likely increase. When we know the race is about to finish, that thought is understood by our brain -- the regulator of our body -- which is part of the reason our ability to push increases the closer we get to the finish line. Our brain allows our body to grow more fatigued than it normally would because it knows that relief will occur soon. Also key to being able to kick it into a higher gear near the end of a race? The importance you place on it and the psychological drive. If someone is neck and neck with you, you'll likely be more driven to run faster than if you ran into a finish chute alone. If this is a last ditch BQ attempt and you're just a few seconds away from the qualifying time, you'll likely push harder in that last kick. My mom and aunt were seated at the finish line at the Chicago Marathon (courtesy of the Lurie Children's Hospital Marathon Team -- as I've mentioned, if you're going to run Chicago, run with them!). After the race, they told me that they'd seen multiple people collapse right before the finish line. They couldn't believe someone could collapse so close to the end! I also wondered how that could happen. It turns out that it's when our drive is so great that we're able to utterly ignore our body's warning signs that collapse right at the finish can happen: "Collapse occurs when drive has forced an ignoring of the warning signals from the brain for longer than is normal. Then the brain begins to force a shut down and overwhelm drive. [...] It's the last ditch fail safe mechanism." Had just kicked it at the end of a 5K where I PR'd. Immediately after collapsed on grass trying not to puke. Basically, Magness hypothesizes, training is about teaching our body to tap into our massive reserves -- the energy and strength that can allow adrenaline-fueled feats ("hysterical strength") like a daughter lifting a car off her father -- and get further and further away from homeostasis without letting it get to that point of collapse where our brain shuts down. Training is about teaching our bodies what they can handle while expanding their limits. I understood the strong connection between our bodies and minds in terms of the mental game before reading The Science of Running, but I had no idea how deep the connection went between psychology and physiology until I started reading this book, nor did I realize how much our brain can process conscious thought and feed it to our body's mechanisms. I highly recommend the book to any running nerds out there, and will do another post if I learn anything else cool/exciting. By the way, Magness also goes through some running trends/ideas on his website and looks at the science behind them, briefly, to see if they have any merit. Compression socks? They can work for certain individuals, but not for the reason you (probably) think! Please note, I don't have a scientific background (like, at all) so this is my understanding of the studies that Magness summarizes in his book. I think it's pretty much correct, or I wouldn't post it, but if I've made a mistake please feel free to correct! For the record, I would not even attempt to read a book with the word "science" in the title, so serious kudos for that! But in all serious, the mind-body connection is huge. I was listening to an episode of the Rich Roll podcast (surprise, surprise! ), and they said when we think we've reached that point--ready to bonk and throw in the towel--we've tapped into only 40 percent of our energy. Forty percent! Only for running would I read such a book! Although it's making me rue the day I gave up on science. I wish I could better understand what happens when we run/train on a molecular level. That 40% number is crazy but also totally believable when you think about what people do in life or death situations (again, lifting cars).